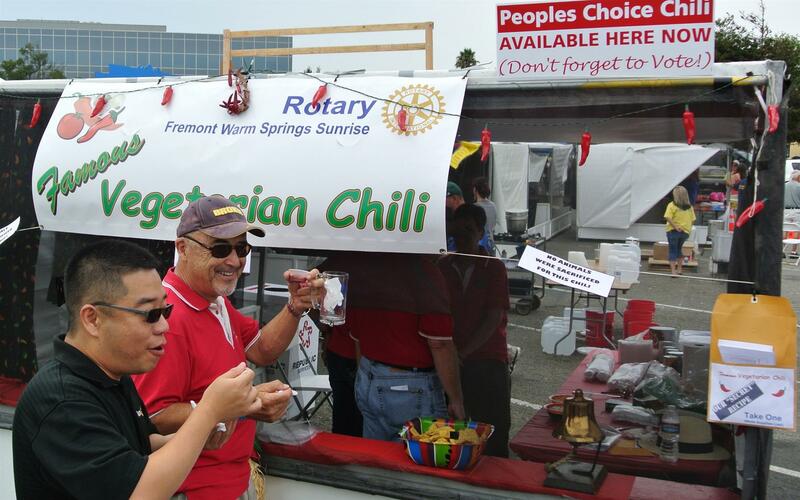 Of course, our Club offered tastings of our Famous Vegetarian Chili. What, no meat? How can this be? But our chili boasts that no animals were sacrificed in the process? This sounds too good to be true but it is really really good. 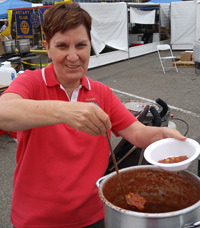 So much so that many of the Chili Fest fans remarked that it was the best chili there. 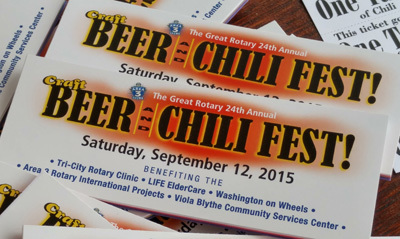 We even offered copies our secret recipe to anyone who sampled our chili so that they could enjoy it until next year's Beer & Chili Fest comes around. A surprise guest even showed up at the event in the form of cool, cloudy weather in the low 70's. It was a pleasant break from the blistering hot temperatures that we had the entire week. And even a couple rain drops here and there did not dampen anyone's spirits, including those that worked so hard to make the Beer & Chili Fest a successful and pleasant afternoon.